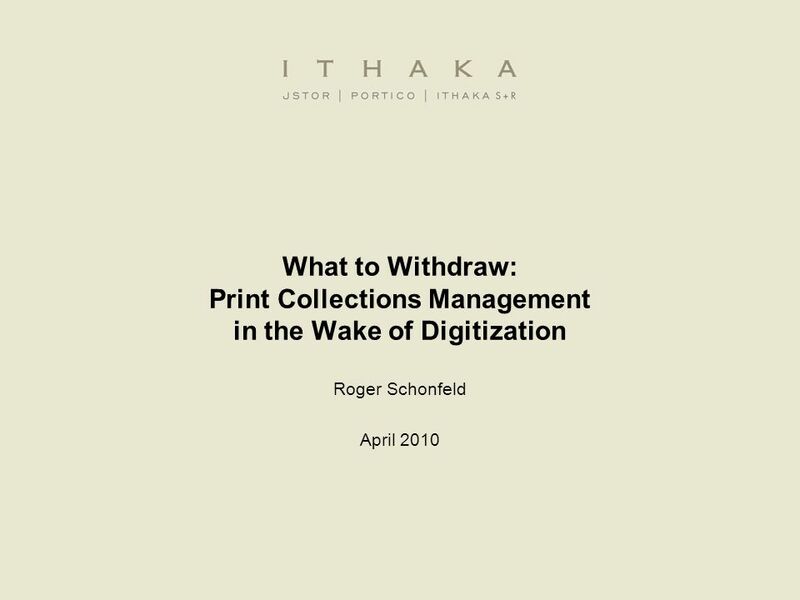 What to Withdraw: Print Collections Management in the Wake of Digitization Roger Schonfeld April 2010. 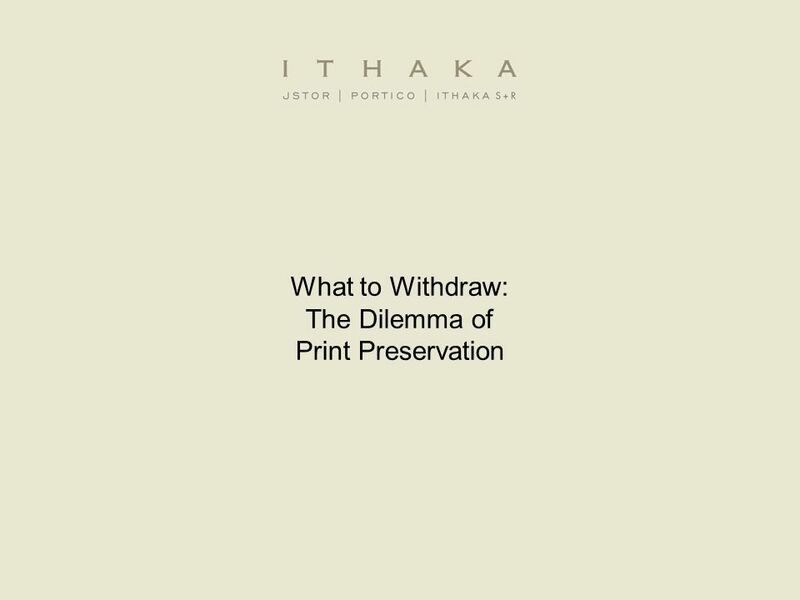 17 Balancing preservation and efficiency Our fundamental question: If libraries will need to withdraw significant amounts of print, how can they prioritize “What to Withdraw” to reduce risk to the system? 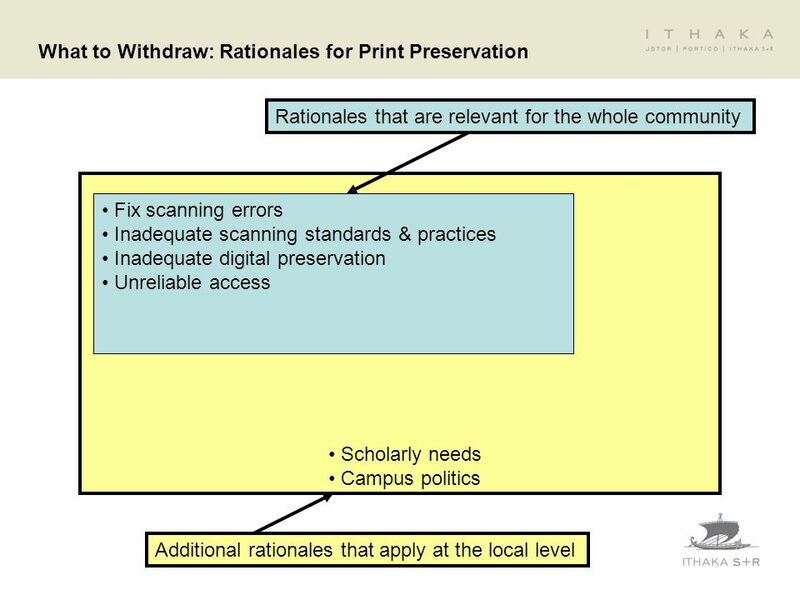 Can a print repository strategy bring more efficiency to the system without sacrificing preservation interests? 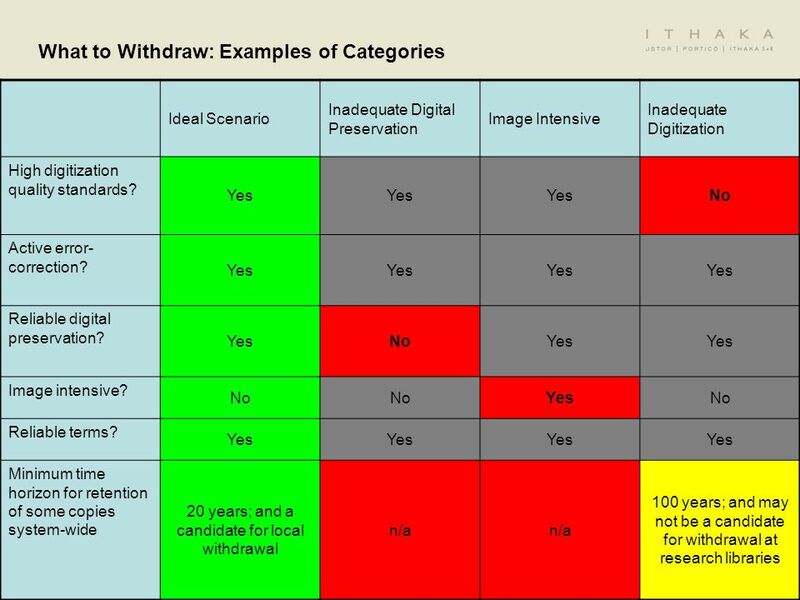 Where are there risks? And can we reduce them? 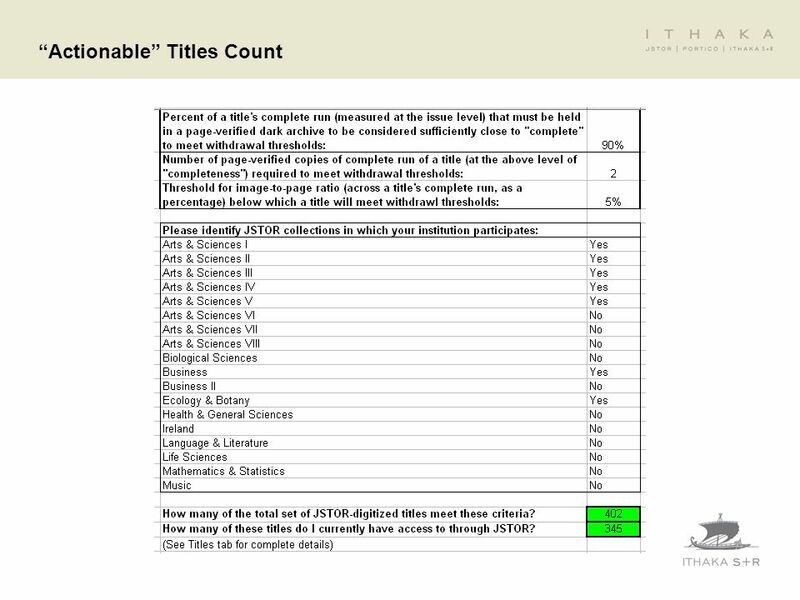 29 How This Tool Should Be Used (And How It Should Not) A library can use this tool to identify a set of titles that are, according to criteria it sets itself, well-preserved elsewhere. 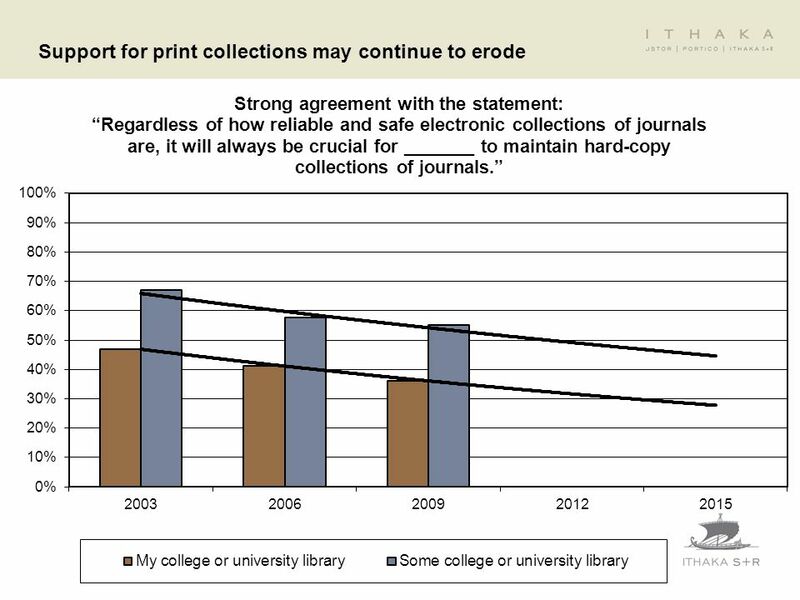 Copies of these titles held locally are therefore not needed for community preservation objectives, although there may be other reasons for retaining them. 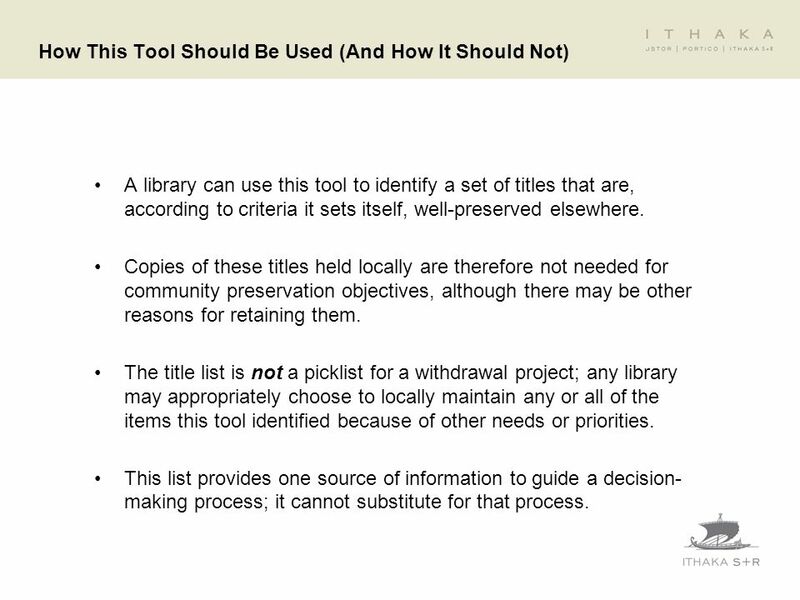 The title list is not a picklist for a withdrawal project; any library may appropriately choose to locally maintain any or all of the items this tool identified because of other needs or priorities. 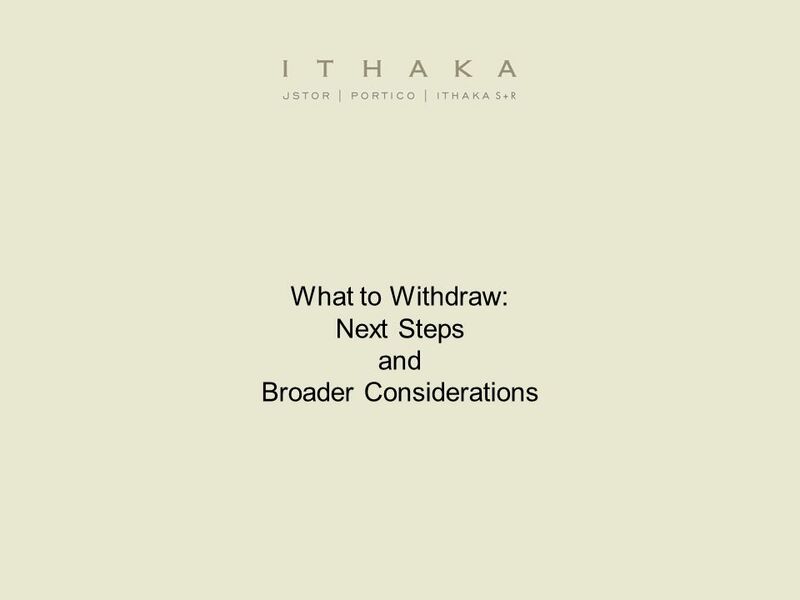 This list provides one source of information to guide a decision- making process; it cannot substitute for that process. 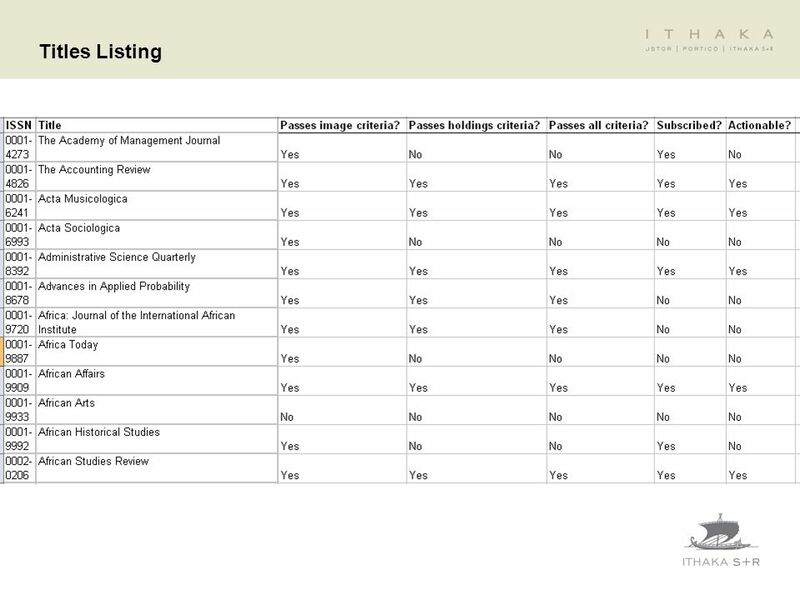 37 Discussion Does further work on the intellectual framework and associated holdings/decision-support tools have value to you? If so what are your immediate and long-term priorities? 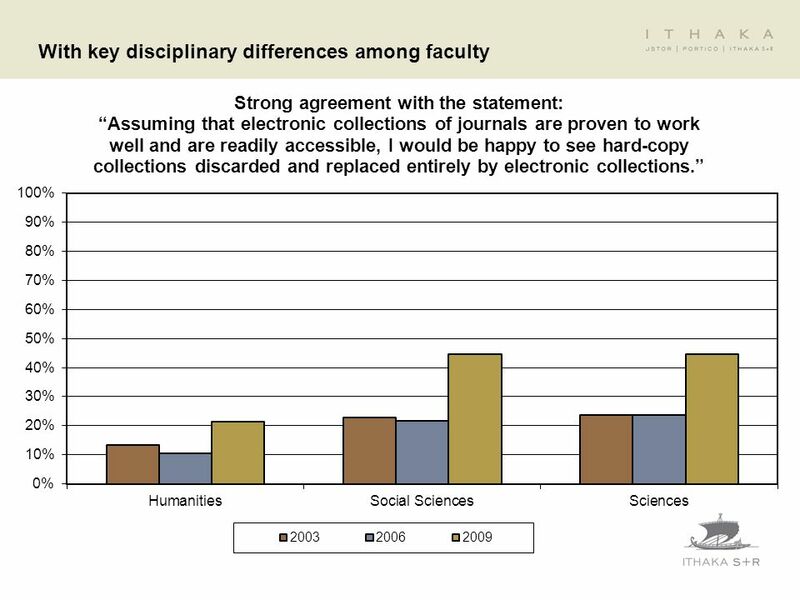 –Digitized materials or all journal backfiles? 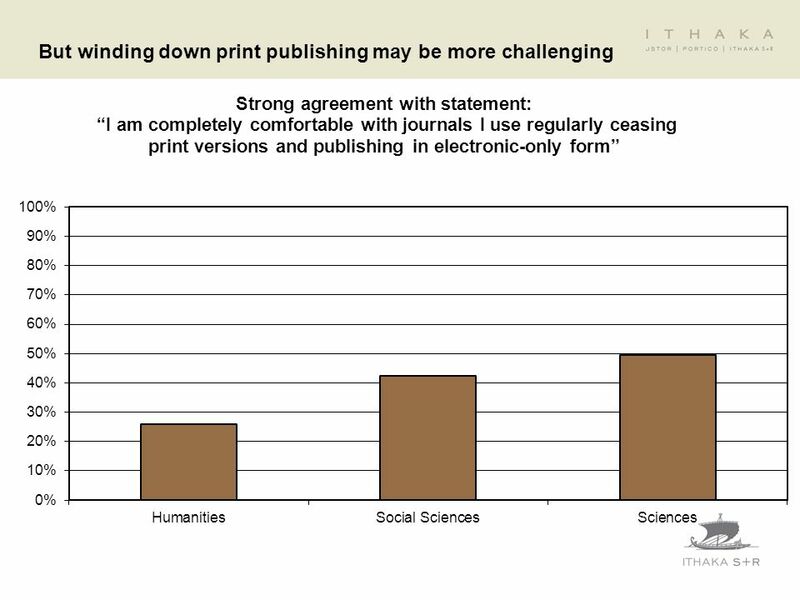 –Journals alone or monographs as well? 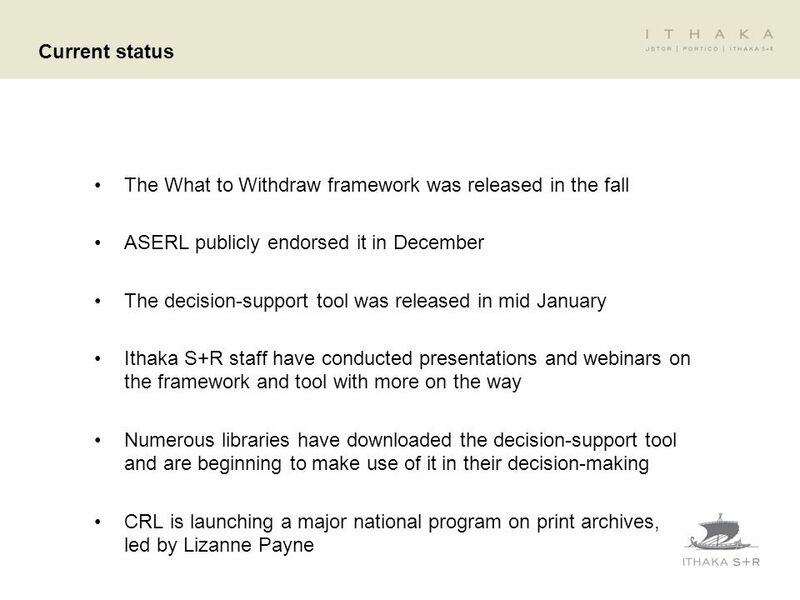 Does a CRL – Ithaka S+R collaboration add value beyond efforts we might each pursue independently? How if at all would you see ASERL and its members participating in such a national effort? 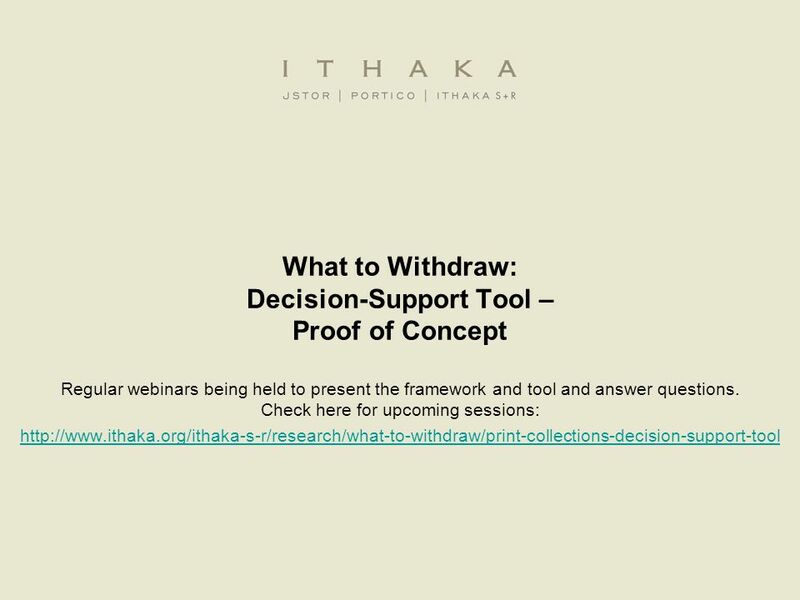 Does your institution need additional information, analysis, or support to make this national initiative more relevant or actionable? 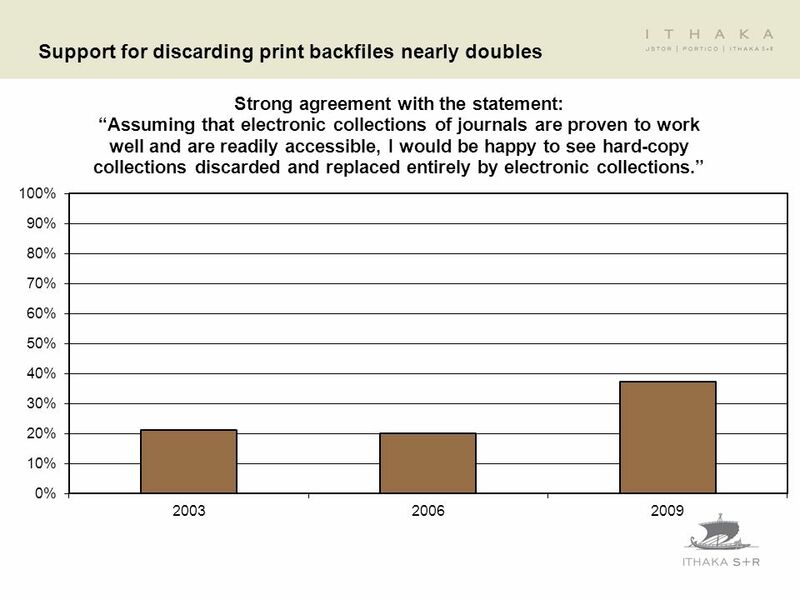 –Locally customized cost savings analyses? 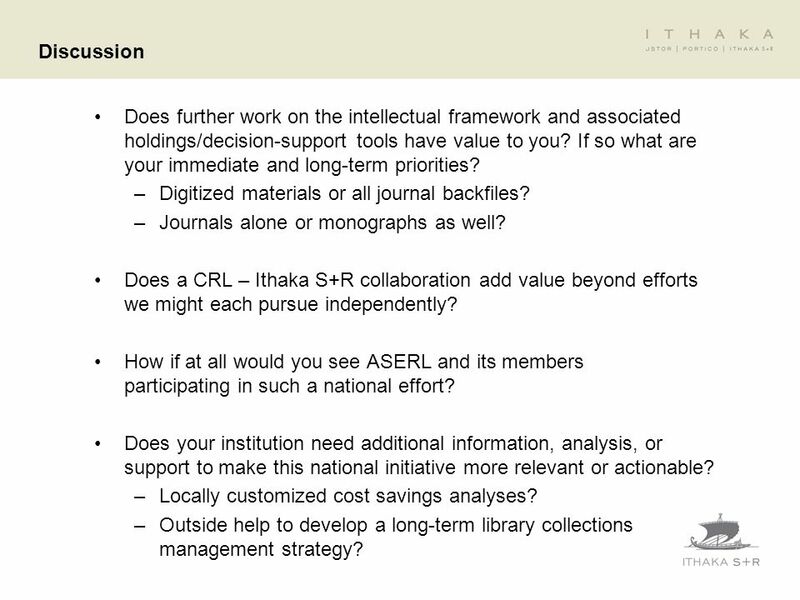 –Outside help to develop a long-term library collections management strategy? 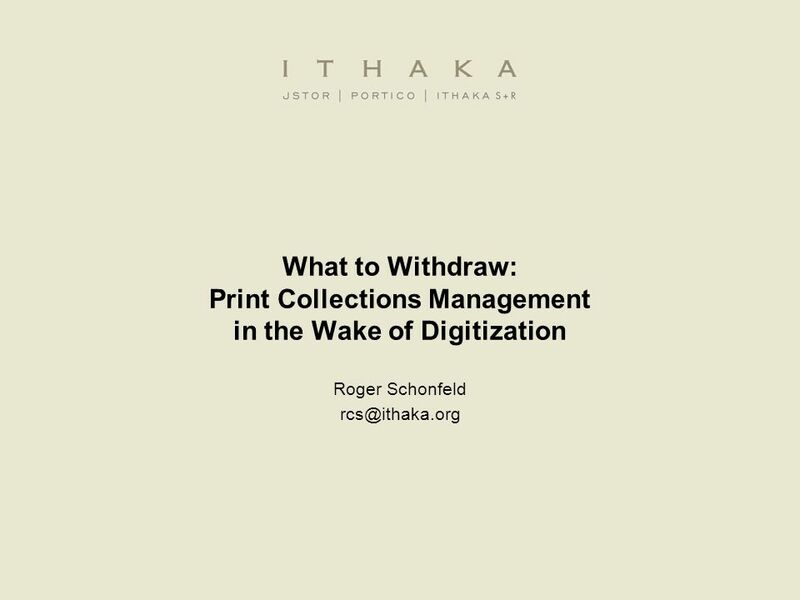 Download ppt "What to Withdraw: Print Collections Management in the Wake of Digitization Roger Schonfeld April 2010." 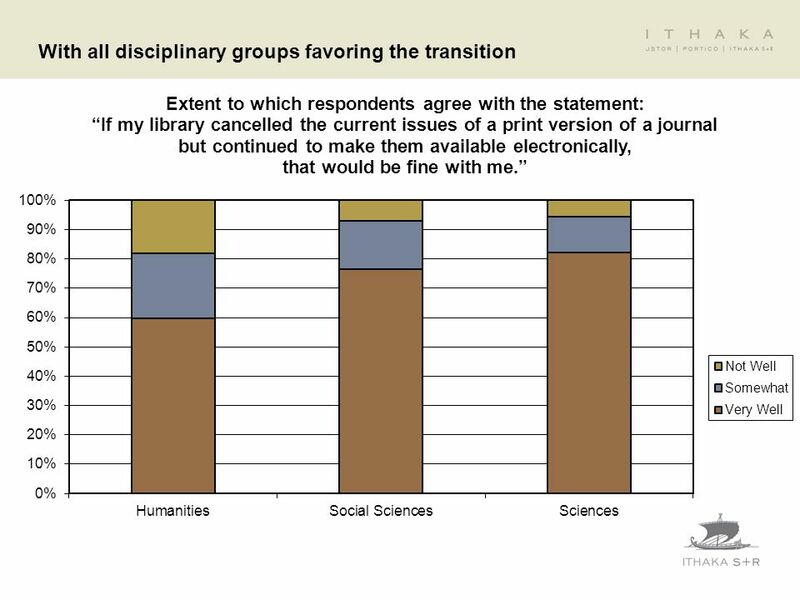 Capturing Academic Grey Literature: Starting at Home Gretta E.Siegel, Science Librarian Portland State University, Portland, OR USA GL5: 5th International. 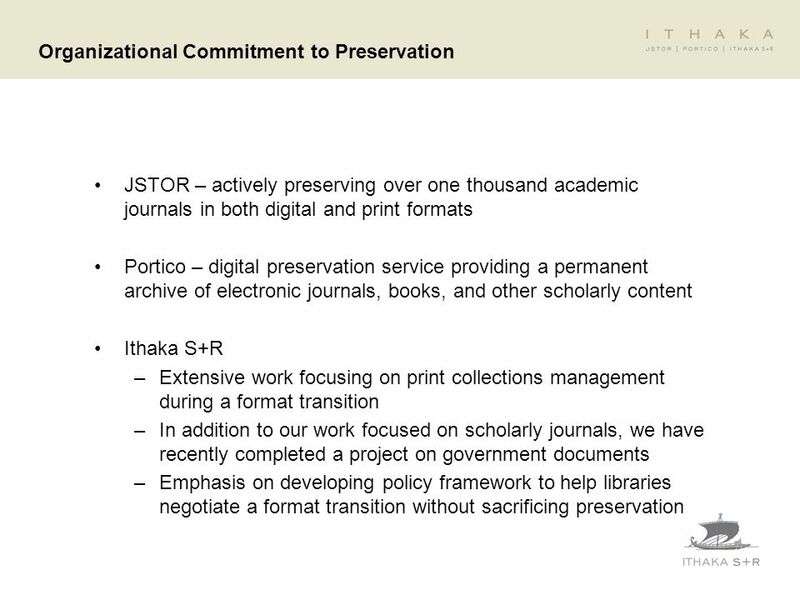 Shared Services: Preserving Library Collections Roger C. Schonfeld Manager of Research Ithaka S+R July 1, 2010 JISC-CNI Edinburgh. 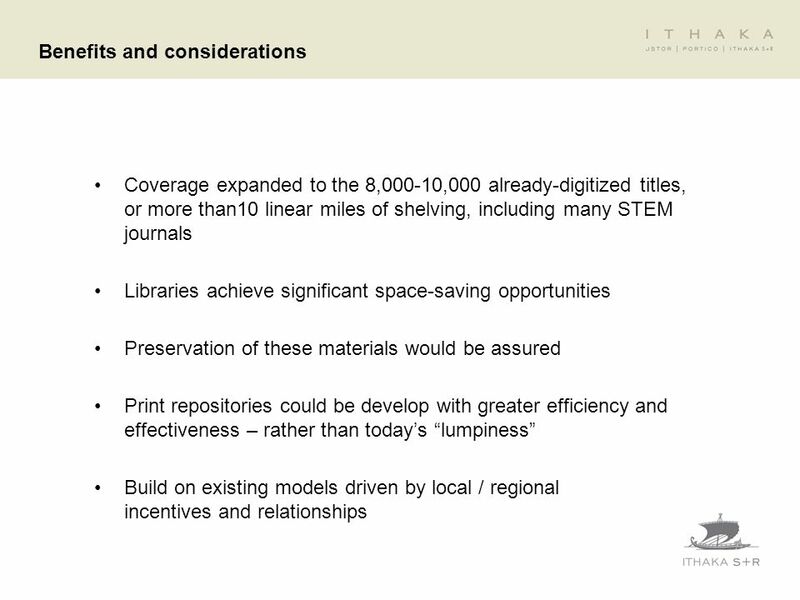 Research Collaborative Management of Shared Print Collections Jim Michalko Vice President OCLC Research Association of Research Libraries Membership Meeting. Mimi Calter Assistant University Librarian & Chief of Staff Stanford University Libraries & Academic Information Resources 13 April 2012 Western Regional. 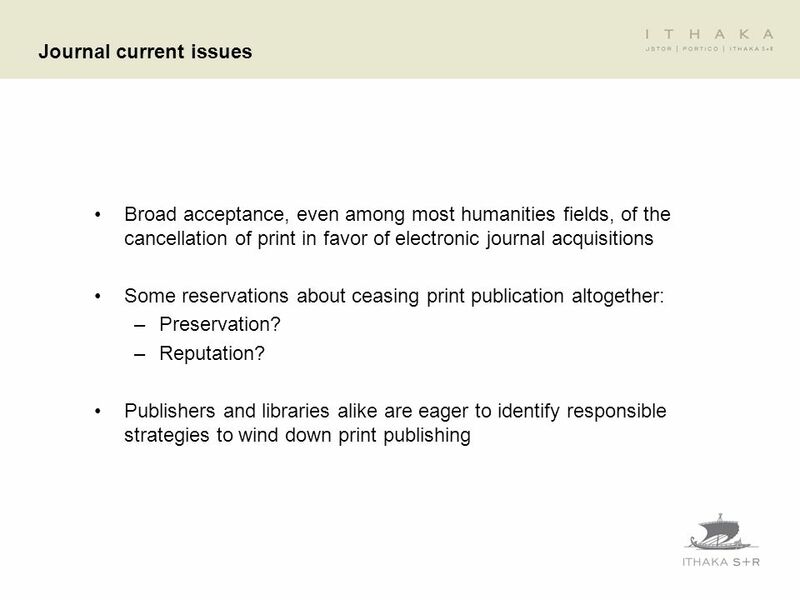 Carolyn M. Byerly, Ph.D., professor Department of Journalism and Graduate Program in Mass Comm & Media Studies TENURE: BASIC INFO AND ISSUES. 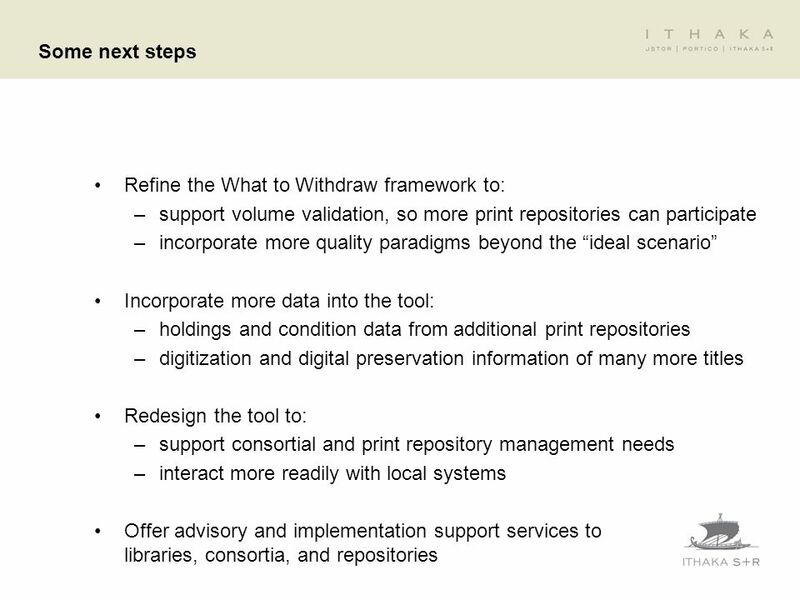 HATHITRUST A Shared Digital Repository The HathiTrust Print Monograph Archive Planning Task Force Print Archive Network Forum ALA 2015 Midwinter Meeting. 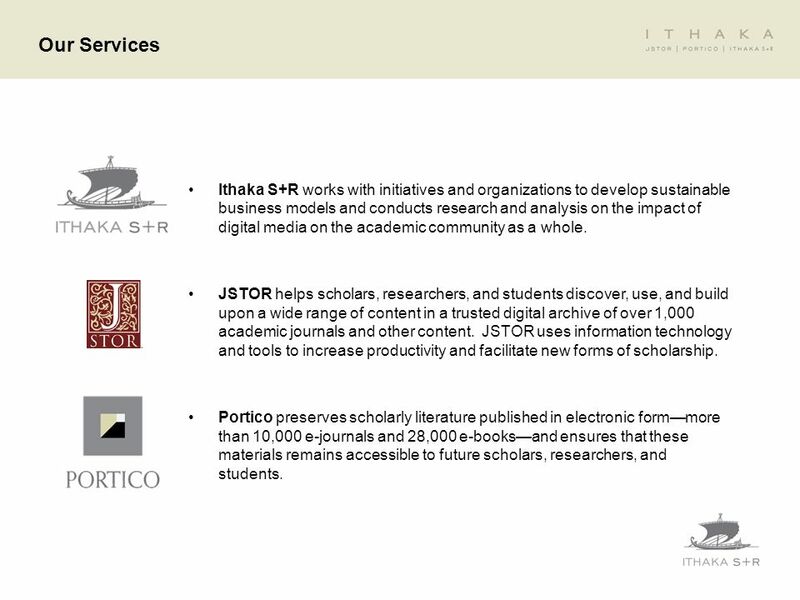 Catherine H. Candee Director, Publishing and Strategic Initiatives California Digital Library Scholarly Publishing at University of California ———— An.